Set your Business Apart Online. Build your brand identity and online presence, with a truly engaging, interactive website, to the delight of your customers! 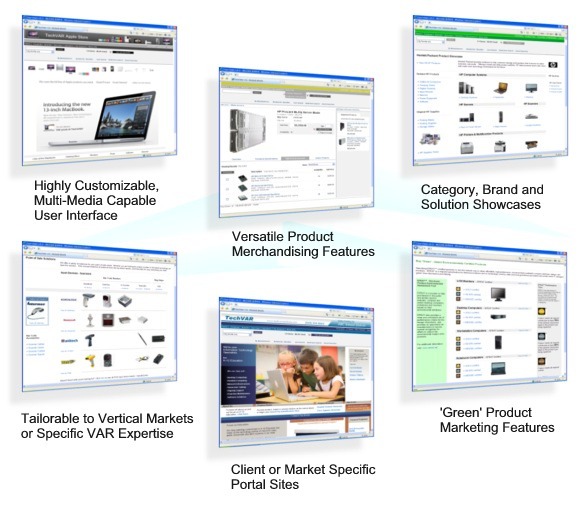 Versatile online marketing and merchandising features allow you to tailor your system to meet the widest range of needs. To differentiate your business, promote customer loyalty, support buyer decision-making or to keep customers from seeking alternative information sources, our solution helps you make the most of your online efforts.